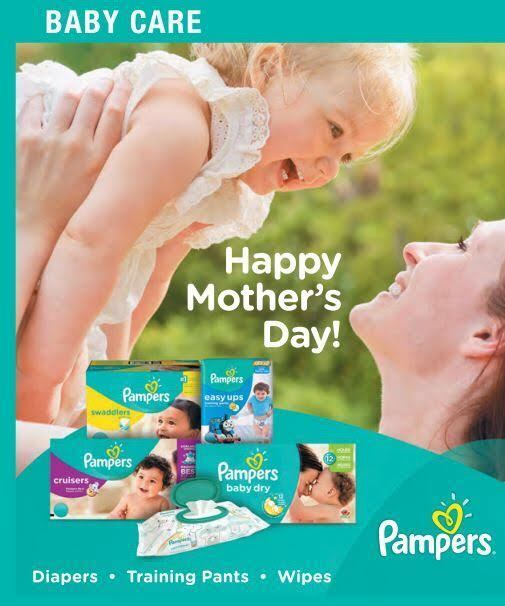 Pampers Helps Moms (& Dads) Save This May! You are here: Home / Sponsored / Pampers Helps Moms (& Dads) Save This May! For more than 50 years, parents have trusted Pampers to care for their babies. Pampers offers a complete range of diapers, wipes and training pants designed to provide protection and comfort for every stage of baby’s development. For all the reasons you already choose Pampers products for your baby, this May Pampers is giving you 2 more! Pampers is offering big savings in this Sunday’s paper, with a limited time coupon. Get your scissors out because there will be a limited time Buy One Get One coupon offer. 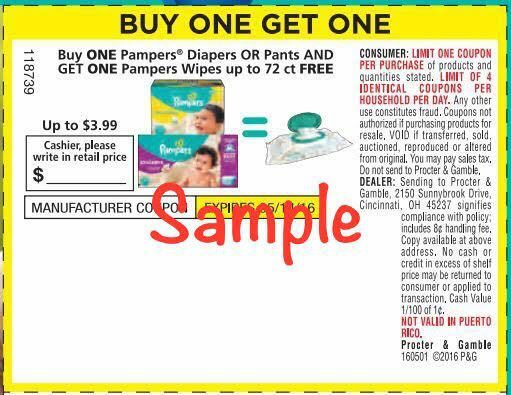 Buy One Pampers Diapers OR Training Pants and get one FREE Pampers Wipes! All Pampers Diapers and Pants are included in this particular offer, except trial/travel size diaper packs. Pampers Diapers and Pants include Pampers Swaddlers, Pampers Cruisers, Pampers Baby Dry, Pampers Easy Ups, Pampers UnderJams, and Pampers Splashers. All Pampers Wipes up to 72ct are included in this particular offer. Pampers is also offering a high value coupon that you can print at home for $2 off 1 pack of Pampers Easy Ups Training Pants! Pampers Easy Ups working during the day and night, providing up to 12 hours of protection. Pampers Easy Ups also have a more underwear-like design for growing toddles along with super-stretchy sides to make them easy to pull up and down when using the potty. If you already receive the Pampers Rewards email newsletter, look for a 3X Reward point promotion the week of May 15. If you aren’t signed up for Pampers Rewards, visit Pampers.com before Mother’s Day to sign up! For more information, you can also visit Pampers social media channels on Facebook, Twitter and YouTube.